I decided to create a new thread for the actual releases of LöveFTW. Please keep any discussion and feedback about it here! LöveFTW (short for "Löve For The Windows", clever right?) is a port of Löve to Windows Apps (currently Universal 8.1 Apps), allowing you to target both Windows 8.1 (as a "Metro" app) and Windows Phone 8.1. What kind of release is this? The current release is a preview release. There are some known issues, and it hasn't been tested very much yet. Your help with testing is highly appreciated! It does run, fairly well too (well, it's a little slow on WP, but usable, and it should be possible to improve). 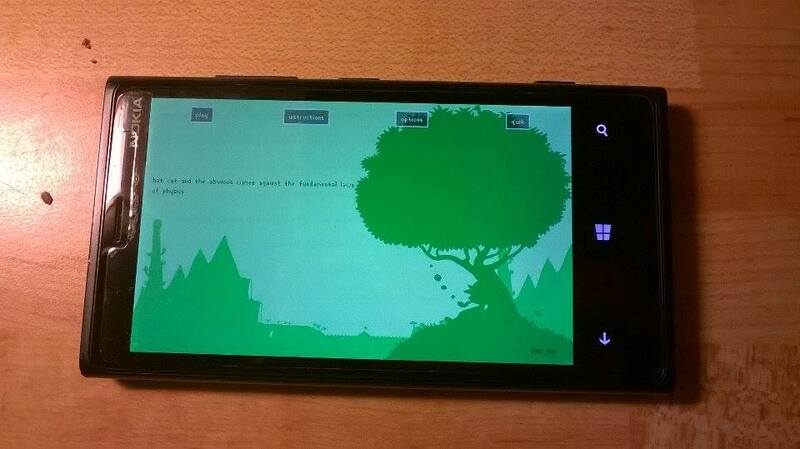 If you want to target Windows 8.1 Metro and/or Windows Phone, you can absolutely already try it, and most things will probably work (Hat Cat is, for example, fully playable on my Lumia 920). Here! The bitbucket page contains instructions for setting it up and running as well. If anything is unclear, let me know! It's based on love-mobile-common, and has very few changes to the Löve source code. The main challange getting where the project is now has been to get all Löve's dependencies to play nice with WinRT's limitations. In other words, not much "writing code" but very much "messing in Visual Studio to get stuff to compile" This also means that most things should work very similarly to the Android and iOS ports. Q: We're a big software company and this project really impressed us! It's come to our attention that you're about to graduate as a software engineer soon. Do you want to work for us? A: I'll think about it. Congrats! Nice to see more mobile ports of LÖVE. LÖVE is getting stronger and stronger . This looks very cool. Nice work on the port(s)! Wouldn´t Windows Universal apps run also on XBOX? deathbeam wrote: Wouldn´t Windows Universal apps run also on XBOX? Windows 10 Apps should, yes, but not 8.1 ones. The details on exactly how this will work are not revealed yet, We'll learn more at the BUILD conference (which is in like 10 days). My guess is that you're still going to need an ID@Xbox certification to release stuff there, but we'll see. Well, first of all congratulations on the port!!! Don't have any windows device or pc to test, but I'm sure you'll get plenty of feedback. Can't wait to see this become official as well. Is it based on the 0.9.2 or 0.10.0 branch? gianmichele wrote: Well, first of all congratulations on the port!!! This is based on 0.9.2 (the love-mobile-common branch, so it shares almost all code with the Andorid/iOS ports). I think I've done everything correctly, app builds and runs just fine, but instead of my game I see a black screen (right after the splash screen). Game works just fine on Windows 8.1 x64. 'LoveFTW.WindowsPhone.exe' (Win32): Loaded 'U:\SharedData\PhoneTools\AppxLayouts\54a0f6cc-2b70-4315-a3c7-1ee6a07dbbcaVS.Debug_ARM.ja\LoveFTW.WindowsPhone.exe'. Symbols loaded. 'LoveFTW.WindowsPhone.exe' (Win32): Loaded 'C:\Windows\system32\NTDLL.DLL'. Cannot find or open the PDB file. 'LoveFTW.WindowsPhone.exe' (Win32): Loaded 'C:\Windows\system32\KERNELBASE.DLL'. Cannot find or open the PDB file. 'LoveFTW.WindowsPhone.exe' (Win32): Loaded 'C:\Windows\system32\COMBASE.DLL'. Cannot find or open the PDB file. 'LoveFTW.WindowsPhone.exe' (Win32): Loaded 'U:\PROGRAMS\WINDOWSAPPS\Microsoft.VCLibs.120.00.Phone.Debug_12.0.30113.0_arm__8wekyb3d8bbwe\vccorlib120d_app.dll'. Cannot find or open the PDB file. 'LoveFTW.WindowsPhone.exe' (Win32): Loaded 'U:\PROGRAMS\WINDOWSAPPS\Microsoft.VCLibs.120.00.Phone.Debug_12.0.30113.0_arm__8wekyb3d8bbwe\msvcr120d_app.dll'. Cannot find or open the PDB file. 'LoveFTW.WindowsPhone.exe' (Win32): Loaded 'U:\SharedData\PhoneTools\AppxLayouts\54a0f6cc-2b70-4315-a3c7-1ee6a07dbbcaVS.Debug_ARM.ja\freetype-WinPhone.dll'. Cannot find or open the PDB file. 'LoveFTW.WindowsPhone.exe' (Win32): Loaded 'U:\SharedData\PhoneTools\AppxLayouts\54a0f6cc-2b70-4315-a3c7-1ee6a07dbbcaVS.Debug_ARM.ja\OpenAL.wp8.dll'. Symbols loaded. 'LoveFTW.WindowsPhone.exe' (Win32): Loaded 'U:\SharedData\PhoneTools\AppxLayouts\54a0f6cc-2b70-4315-a3c7-1ee6a07dbbcaVS.Debug_ARM.ja\libvorbisfile.dll'. Cannot find or open the PDB file. 'LoveFTW.WindowsPhone.exe' (Win32): Loaded 'U:\SharedData\PhoneTools\AppxLayouts\54a0f6cc-2b70-4315-a3c7-1ee6a07dbbcaVS.Debug_ARM.ja\zlib-WinRT.WindowsPhone.dll'. Cannot find or open the PDB file. 'LoveFTW.WindowsPhone.exe' (Win32): Loaded 'U:\SharedData\PhoneTools\AppxLayouts\54a0f6cc-2b70-4315-a3c7-1ee6a07dbbcaVS.Debug_ARM.ja\PhysFS-WinRT.WindowsPhone.dll'. Cannot find or open the PDB file. 'LoveFTW.WindowsPhone.exe' (Win32): Loaded 'U:\SharedData\PhoneTools\AppxLayouts\54a0f6cc-2b70-4315-a3c7-1ee6a07dbbcaVS.Debug_ARM.ja\SDL2.dll'. Symbols loaded. 'LoveFTW.WindowsPhone.exe' (Win32): Loaded 'U:\PROGRAMS\WINDOWSAPPS\Microsoft.VCLibs.120.00.Phone.Debug_12.0.30113.0_arm__8wekyb3d8bbwe\msvcp120d_app.dll'. Cannot find or open the PDB file. 'LoveFTW.WindowsPhone.exe' (Win32): Loaded 'C:\Windows\system32\WS2_32.DLL'. Cannot find or open the PDB file. 'LoveFTW.WindowsPhone.exe' (Win32): Loaded 'C:\Windows\system32\MSVCRT.DLL'. Cannot find or open the PDB file. 'LoveFTW.WindowsPhone.exe' (Win32): Loaded 'C:\Windows\system32\RPCRT4.DLL'. Cannot find or open the PDB file. 'LoveFTW.WindowsPhone.exe' (Win32): Loaded 'C:\Windows\system32\KERNEL32LEGACY.DLL'. Cannot find or open the PDB file. 'LoveFTW.WindowsPhone.exe' (Win32): Loaded 'C:\Windows\system32\MINCOREDLOAD.DLL'. Cannot find or open the PDB file. 'LoveFTW.WindowsPhone.exe' (Win32): Loaded 'C:\Windows\system32\OLEAUT32.DLL'. Cannot find or open the PDB file. 'LoveFTW.WindowsPhone.exe' (Win32): Loaded 'C:\Windows\system32\XAUDIO2_8.DLL'. Cannot find or open the PDB file. 'LoveFTW.WindowsPhone.exe' (Win32): Loaded 'C:\Windows\system32\PhoneAudioSes.dll'. Cannot find or open the PDB file. 'LoveFTW.WindowsPhone.exe' (Win32): Loaded 'U:\SharedData\PhoneTools\AppxLayouts\54a0f6cc-2b70-4315-a3c7-1ee6a07dbbcaVS.Debug_ARM.ja\libogg.dll'. Cannot find or open the PDB file. 'LoveFTW.WindowsPhone.exe' (Win32): Loaded 'U:\SharedData\PhoneTools\AppxLayouts\54a0f6cc-2b70-4315-a3c7-1ee6a07dbbcaVS.Debug_ARM.ja\libvorbis.dll'. Cannot find or open the PDB file. 'LoveFTW.WindowsPhone.exe' (Win32): Loaded 'C:\Windows\system32\DXGI.DLL'. Cannot find or open the PDB file. 'LoveFTW.WindowsPhone.exe' (Win32): Loaded 'C:\Windows\system32\D3D11.DLL'. Cannot find or open the PDB file. 'LoveFTW.WindowsPhone.exe' (Win32): Loaded 'C:\Windows\system32\PhoneAppModelHost.dll'. Cannot find or open the PDB file. 'LoveFTW.WindowsPhone.exe' (Win32): Loaded 'C:\Windows\system32\NSI.DLL'. Cannot find or open the PDB file. 'LoveFTW.WindowsPhone.exe' (Win32): Loaded 'C:\Windows\system32\CFGMGR32.DLL'. Cannot find or open the PDB file. 'LoveFTW.WindowsPhone.exe' (Win32): Loaded 'C:\Windows\system32\AVRT.DLL'. Cannot find or open the PDB file. 'LoveFTW.WindowsPhone.exe' (Win32): Loaded 'C:\Windows\system32\AudioRtgClient.dll'. Cannot find or open the PDB file. 'LoveFTW.WindowsPhone.exe' (Win32): Loaded 'C:\Windows\system32\GDI32.DLL'. Cannot find or open the PDB file. 'LoveFTW.WindowsPhone.exe' (Win32): Loaded 'C:\Windows\system32\EMClient.dll'. Cannot find or open the PDB file. 'LoveFTW.WindowsPhone.exe' (Win32): Loaded 'C:\Windows\system32\CoreMessaging.dll'. Cannot find or open the PDB file. 'LoveFTW.WindowsPhone.exe' (Win32): Loaded 'C:\Windows\system32\TaskHostSvcs.dll'. Cannot find or open the PDB file. 'LoveFTW.WindowsPhone.exe' (Win32): Loaded 'C:\Windows\system32\SECHOST.DLL'. Cannot find or open the PDB file. 'LoveFTW.WindowsPhone.exe' (Win32): Loaded 'C:\Windows\system32\ZTrace.dll'. Cannot find or open the PDB file. 'LoveFTW.WindowsPhone.exe' (Win32): Loaded 'C:\Windows\system32\MINUSER.DLL'. Cannot find or open the PDB file. 'LoveFTW.WindowsPhone.exe' (Win32): Loaded 'C:\Windows\system32\SecRuntime.dll'. Cannot find or open the PDB file. 'LoveFTW.WindowsPhone.exe' (Win32): Loaded 'C:\Windows\system32\ModernApiExtHost.dll'. Cannot find or open the PDB file. 'LoveFTW.WindowsPhone.exe' (Win32): Loaded 'C:\Windows\system32\ADVAPI32LEGACY.DLL'. Cannot find or open the PDB file. 'LoveFTW.WindowsPhone.exe' (Win32): Loaded 'C:\Windows\system32\phoneinfo.dll'. Cannot find or open the PDB file. 'LoveFTW.WindowsPhone.exe' (Win32): Loaded 'C:\Windows\system32\SSPICLI.DLL'. Cannot find or open the PDB file. 'LoveFTW.WindowsPhone.exe' (Win32): Loaded 'C:\Windows\system32\PCWUM.DLL'. Cannot find or open the PDB file. 'LoveFTW.WindowsPhone.exe' (Win32): Loaded 'C:\Windows\system32\AgHostSvcs.dll'. Cannot find or open the PDB file. 'LoveFTW.WindowsPhone.exe' (Win32): Loaded 'C:\Windows\system32\SHCORE.DLL'. Cannot find or open the PDB file. 'LoveFTW.WindowsPhone.exe' (Win32): Loaded 'C:\Windows\system32\KERNEL.APPCORE.DLL'. Cannot find or open the PDB file. 'LoveFTW.WindowsPhone.exe' (Win32): Loaded 'C:\Windows\system32\PhoneBrokerClient.dll'. Cannot find or open the PDB file. 'LoveFTW.WindowsPhone.exe' (Win32): Loaded 'C:\Windows\system32\WINTYPES.DLL'. Cannot find or open the PDB file. The thread 0x9ac has exited with code 0 (0x0). 'LoveFTW.WindowsPhone.exe' (Win32): Loaded 'C:\Windows\system32\CRYPTBASE.DLL'. Cannot find or open the PDB file. 'LoveFTW.WindowsPhone.exe' (Win32): Loaded 'C:\Windows\system32\BCRYPTPRIMITIVES.DLL'. Cannot find or open the PDB file. 'LoveFTW.WindowsPhone.exe' (Win32): Loaded 'C:\Windows\system32\CoreApplicationShim.dll'. Cannot find or open the PDB file. 'LoveFTW.WindowsPhone.exe' (Win32): Loaded 'C:\Windows\system32\TWINAPI.APPCORE.DLL'. Cannot find or open the PDB file. 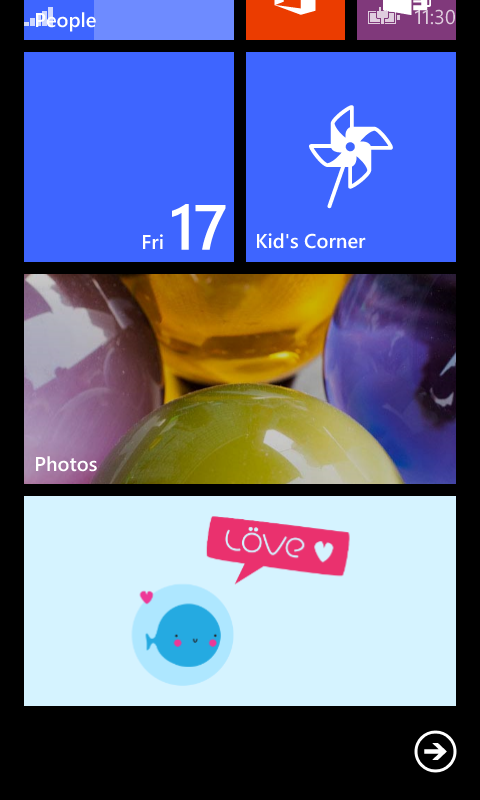 'LoveFTW.WindowsPhone.exe' (Win32): Loaded 'C:\Windows\system32\PsmApp.dll'. Cannot find or open the PDB file. 'LoveFTW.WindowsPhone.exe' (Win32): Loaded 'C:\Windows\system32\CRYPTSP.DLL'. Cannot find or open the PDB file. 'LoveFTW.WindowsPhone.exe' (Win32): Loaded 'C:\Windows\system32\RSAENH.DLL'. Cannot find or open the PDB file. 'LoveFTW.WindowsPhone.exe' (Win32): Loaded 'C:\Windows\system32\BCRYPT.DLL'. Cannot find or open the PDB file. 'LoveFTW.WindowsPhone.exe' (Win32): Loaded 'C:\Windows\system32\ProcThreadExtHost.dll'. Cannot find or open the PDB file. 'LoveFTW.WindowsPhone.exe' (Win32): Loaded 'C:\Windows\system32\wpcoreutil.dll'. Cannot find or open the PDB file. 'LoveFTW.WindowsPhone.exe' (Win32): Loaded 'C:\Windows\system32\AppModelProxy.dll'. Cannot find or open the PDB file. 'LoveFTW.WindowsPhone.exe' (Win32): Loaded 'C:\Windows\system32\CoreUIComponents.dll'. Cannot find or open the PDB file. 'LoveFTW.WindowsPhone.exe' (Win32): Loaded 'C:\Windows\system32\orientation.dll'. Cannot find or open the PDB file. 'LoveFTW.WindowsPhone.exe' (Win32): Loaded 'C:\Windows\system32\ShellChromeAPI.dll'. Cannot find or open the PDB file. 'LoveFTW.WindowsPhone.exe' (Win32): Loaded 'C:\Windows\system32\AppChromeAPI.dll'. Cannot find or open the PDB file. 'LoveFTW.WindowsPhone.exe' (Win32): Loaded 'C:\Windows\system32\ACTXPRXY.DLL'. Cannot find or open the PDB file. 'LoveFTW.WindowsPhone.exe' (Win32): Loaded 'C:\Windows\system32\MRMCORER.DLL'. Cannot find or open the PDB file. 'LoveFTW.WindowsPhone.exe' (Win32): Loaded 'C:\Windows\system32\BCP47LANGS.DLL'. Cannot find or open the PDB file. 'LoveFTW.WindowsPhone.exe' (Win32): Loaded 'C:\Windows\system32\WINDOWS.UI.DLL'. Cannot find or open the PDB file. 'LoveFTW.WindowsPhone.exe' (Win32): Loaded 'C:\Windows\system32\NINPUT.DLL'. Cannot find or open the PDB file. 'LoveFTW.WindowsPhone.exe' (Win32): Loaded 'C:\Windows\system32\DCOMP.DLL'. Cannot find or open the PDB file. 'LoveFTW.WindowsPhone.exe' (Win32): Loaded 'C:\Windows\system32\DWMAPI.DLL'. Cannot find or open the PDB file. First-chance exception at 0x776659A3 in LoveFTW.WindowsPhone.exe: Microsoft C++ exception: Cn::XH at memory location 0x0131E770. 'LoveFTW.WindowsPhone.exe' (Win32): Loaded 'C:\Windows\system32\Windows.UI.Core.TextInput.dll'. Cannot find or open the PDB file. 'LoveFTW.WindowsPhone.exe' (Win32): Loaded 'C:\Windows\system32\TextInputFramework.dll'. Cannot find or open the PDB file. 'LoveFTW.WindowsPhone.exe' (Win32): Loaded 'C:\Windows\system32\Windows.Phone.Devices.dll'. Cannot find or open the PDB file. 'LoveFTW.WindowsPhone.exe' (Win32): Loaded 'C:\Windows\system32\WINDOWS.GRAPHICS.DLL'. Cannot find or open the PDB file. First-chance exception at 0x776659A3 in LoveFTW.WindowsPhone.exe: Microsoft C++ exception: Cn::XH at memory location 0x0131E460. First-chance exception at 0x776659A3 in LoveFTW.WindowsPhone.exe: Microsoft C++ exception: Cn::XH at memory location 0x0131E728. 'LoveFTW.WindowsPhone.exe' (Win32): Loaded 'C:\Windows\system32\StorageProxy.dll'. Cannot find or open the PDB file. 'LoveFTW.WindowsPhone.exe' (Win32): Loaded 'C:\Windows\system32\WINDOWS.APPLICATIONMODEL.DLL'. Cannot find or open the PDB file. 'LoveFTW.WindowsPhone.exe' (Win32): Loaded 'C:\Windows\system32\WINDOWS.STORAGE.DLL'. Cannot find or open the PDB file. 'LoveFTW.WindowsPhone.exe' (Win32): Loaded 'C:\Windows\system32\SHLWAPI.DLL'. Cannot find or open the PDB file. 'LoveFTW.WindowsPhone.exe' (Win32): Loaded 'C:\Windows\system32\PROPSYS.DLL'. Cannot find or open the PDB file. 'LoveFTW.WindowsPhone.exe' (Win32): Loaded 'C:\Windows\system32\WINDOWS.STORAGE.APPLICATIONDATA.DLL'. Cannot find or open the PDB file. 'LoveFTW.WindowsPhone.exe' (Win32): Loaded 'C:\Windows\system32\THREADPOOLWINRT.DLL'. Cannot find or open the PDB file. 'LoveFTW.WindowsPhone.exe' (Win32): Loaded 'C:\Windows\system32\MMPhoneDeviceApi.dll'. Cannot find or open the PDB file. 'LoveFTW.WindowsPhone.exe' (Win32): Loaded 'C:\Windows\system32\MMDEVAPI.DLL'. Cannot find or open the PDB file. 'LoveFTW.WindowsPhone.exe' (Win32): Loaded 'C:\Windows\system32\DEVOBJ.DLL'. Cannot find or open the PDB file. 'LoveFTW.WindowsPhone.exe' (Win32): Loaded 'C:\Windows\system32\AUDIOSES.DLL'. Cannot find or open the PDB file. 'LoveFTW.WindowsPhone.exe' (Win32): Loaded 'C:\Windows\system32\POWRPROF.DLL'. Cannot find or open the PDB file. 'LoveFTW.WindowsPhone.exe' (Win32): Loaded 'U:\SharedData\PhoneTools\AppxLayouts\54a0f6cc-2b70-4315-a3c7-1ee6a07dbbcaVS.Debug_ARM.ja\libGLESv2.dll'. Cannot find or open the PDB file. 'LoveFTW.WindowsPhone.exe' (Win32): Loaded 'C:\Windows\system32\D3DCOMPILER_47.DLL'. Cannot find or open the PDB file. 'LoveFTW.WindowsPhone.exe' (Win32): Loaded 'U:\SharedData\PhoneTools\AppxLayouts\54a0f6cc-2b70-4315-a3c7-1ee6a07dbbcaVS.Debug_ARM.ja\libEGL.dll'. Cannot find or open the PDB file. 'LoveFTW.WindowsPhone.exe' (Win32): Loaded 'C:\Windows\system32\DXGIDebug.dll'. Cannot find or open the PDB file. 'LoveFTW.WindowsPhone.exe' (Win32): Loaded 'C:\Windows\system32\qcdx9um8930.dll'. Cannot find or open the PDB file. 'LoveFTW.WindowsPhone.exe' (Win32): Loaded 'C:\Windows\system32\Msvcr110.dll'. Cannot find or open the PDB file. 'LoveFTW.WindowsPhone.exe' (Win32): Loaded 'C:\Windows\system32\D3D10LEVEL9.DLL'. Cannot find or open the PDB file. 'LoveFTW.WindowsPhone.exe' (Win32): Loaded 'C:\Windows\system32\qcvidum8930.dll'. Cannot find or open the PDB file. 'LoveFTW.WindowsPhone.exe' (Win32): Loaded 'C:\Windows\system32\d3d11_2SDKLayers.dll'. Cannot find or open the PDB file. 'LoveFTW.WindowsPhone.exe' (Win32): Loaded 'C:\Windows\system32\qca3xxcompiler8930.dll'. Cannot find or open the PDB file. 'LoveFTW.WindowsPhone.exe' (Win32): Loaded 'C:\Windows\system32\Msvcp110.dll'. Symbols loaded. 'LoveFTW.WindowsPhone.exe' (Win32): Loaded 'C:\Windows\system32\PacManClient.dll'. Cannot find or open the PDB file. 'LoveFTW.WindowsPhone.exe' (Win32): Loaded 'C:\Windows\system32\CompClient.dll'. Cannot find or open the PDB file. 'LoveFTW.WindowsPhone.exe' (Win32): Loaded 'C:\Windows\system32\WINDOWSCODECS.DLL'. Cannot find or open the PDB file. The thread 0xd84 has exited with code 0 (0x0). IDK know what is happening but it seems like the app isn't being packaged corrected because essential files cannot be found... But you say it works on you win8 computer... that is strange. I~=Spam wrote: IDK know what is happening but it seems like the app isn't being packaged corrected because essential files cannot be found... But you say it works on you win8 computer... that is strange. Hm, I don't think that's the case, it seems to be able to find all the .dll files at least. From the logs, it looks like DirectX hangs, I'm not why though... It's not very informative. 1. Run the game without your .love and see if the no-game screen works. 3. If your hardware is compatible, try running it in the emulator. It works fine there for me. 4. Try running in Release instead of Debug.